Getting to Tempe is Easy for Arizona Meetings & Events Tempe, Arizona is located just four miles from Phoenix Sky Harbor International Airport in the heart of the Phoenix/Scottsdale metro area. 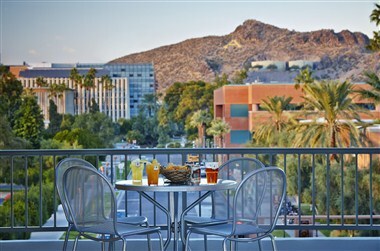 It’s easy for meeting attendees to get to Tempe and this classic college town is full of activity year-round. With all the meeting spaces, local eateries, full-service and limited service hotels and things to do, Tempe is an excellent choice for Arizona group travel. 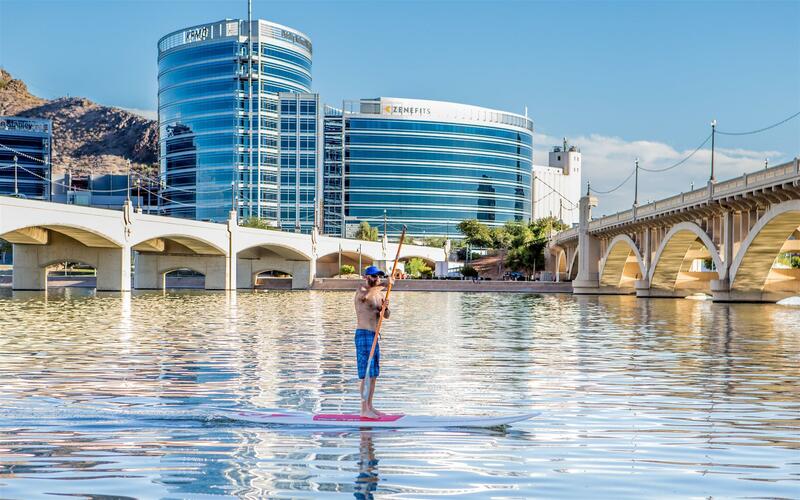 Tempe’s location makes it easy for meeting planners who want to boost attendance at their next event, while minimizing transportation planning hassles, headaches and costs. Phoenix has a lower domestic itinerary fare than the U.S. average, and flights from Phoenix Sky Harbor International Airport travel to 80 domestic locations and 20 international locations. PHX has nonstop flights from many major cities like Denver, San Francisco, Los Angeles, Miami, El Paso, Cleveland, Portland and many more. This makes it quite convenient and inexpensive to get to Tempe, even for an international group. The destination experts at the Tempe Tourism Office are committed to helping you make your meeting a success. We offer an array of free services to meet all of your meeting planning needs and program requirements. Proposal Requests and Site Selection: Each RFP is submitted only to the hotels and/or venues that fit your requests. Site inspection itineraries can be arranged for group meeting and travel planners. You may conduct your own site tour, or your Tempe Tourism Office destination expert will be happy to create and confirm your schedule as well as accompany you. Formal Bid Proposals: The Tempe Tourism Office will prepare and present a customized proposal to your board of directors or decision makers. Services and Promotional Materials: To help increase attendance, we offer enticing destination guides, videos and photography. An order form is available at tempetourism.com. Activity Ideas and Sample Itineraries: Each staff member at the Tempe Tourism Office is all about fun; so we will help you create memorable events, original theme parties and find fun activities. We can also suggest the perfect spouse, family and children’s programs and much more. Tempe's college town atmosphere allows for artistic expression from all aspects of the arts and cultural spectrum, from the Broadway productions at ASU’s Gammage theatre to concerts at the Marquee Theatre in Tempe. Dive into SEA LIFE Arizona Aquarium! Discover more than 5,000 creatures, walk through the amazing 360-degree ocean tunnel and marvel at 30 incredible displays. It's the perfect stop for family fun! 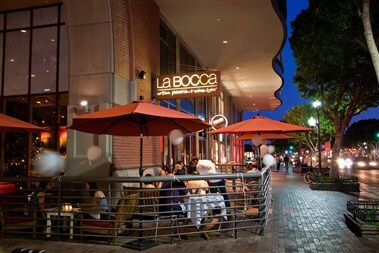 Experience Arizona’s original walkable urban district for great dining, shopping, nightlife and more. The Mill Avenue District features over 100 shops and restaurants, world renowned events, arts, culture, hiking, biking, boating, sports and lodging. Find your way at MillAvenue.com. Founded in 1962, the Phoenix Zoo is one of the largest privately-owned, non-profit zoos in the country. Home to more than 1,100 animals including 200 endangered or threatened birds, mammals and reptiles, the Zoo always entertains and delights. Meeting and banquet facilities with professional catering and meeting planning. 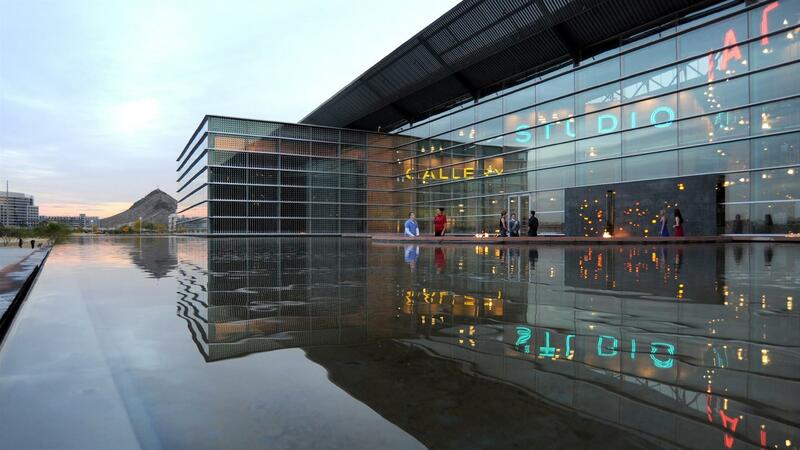 Indoor and outdoor facilities can accommodate 10 - 10,000 for private events. Arizona's largest attraction, Arizona Mills, features a mile of Outlet stores, retail stores, and entertainment venues all under one roof. Everyday you can take advantage of savings up to 70% off at designer and name brand stores such as Neiman Marcus Last Call, Saks Fifth Avenue OFF 5th, NIKEFactory Store, Aeropostale, Justice, Nine West, Conn's and many more! And while you're shopping, check out the largest IMAX theater in Arizona and the only SEA LIFE Aquarium and GameWorks you can find in the state. 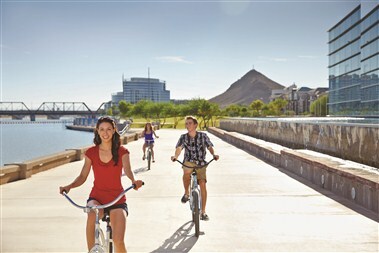 Tempe Town Lake, located adjacent to the Mill Avenue District, provides a two-mile recreational haven for kayaking, sailing, rowing, jogging, skating or picnicking. The heart of Tempe Town Lake is historic Tempe Beach Park. The park provides five miles of pathways and ample room for festivals or events, such as Ironman Arizona, various charity walks, Oktoberfest and the July 4th Tempe Town Lake Festival. Discover over 100 retail, dining and entertainment offerings including Target, Gap, Bath & Body Works, The Keg Steakhouse & Bar, Harkins Theatres, Dave & Buster's and so much more. Enjoy unique water features, outdoor fireplaces, bright lights and live music as you stroll through the District. Conveniently located in Tempe on Loop 101 & 202, Tempe Marketplace is just minutes from the surrounding communities of Phoenix, Scottsdale, Mesa, Chandler and Gilbert. Living museum featuring 50,000 desert plants from around the world. Enjoy tours, concerts, seasonal exhibits, special events and family activities. Tempe, Arizona, home to Arizona State University, is located less than 10 minutes from Phoenix Sky Harbor International Airport. Situated in the heart of the Metropolitan Phoenix area, it is easily accessible by Metro light rail and several freeways. 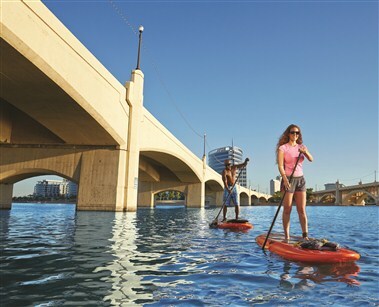 Tempe is the perfect year-round destination, offering exciting events, Broadway shows, live music, professional sports and some of the Southwest's best dining, nightlife and shopping. 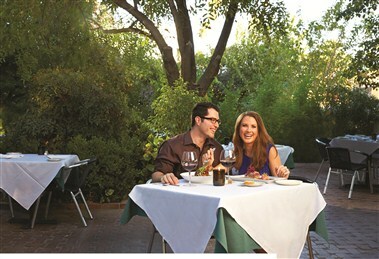 We invite you to plan your next meeting at one of the many premier Tempe, Arizona resorts and hotels. From gorgeous mountaintop views to a dynamic downtown setting, the Tempe first class resorts and unique venues offer something for every taste and budget.